A new Indian eatery opens, Ethan Stowell names his latest project, and two Capitol Hill spots bid us adieu. 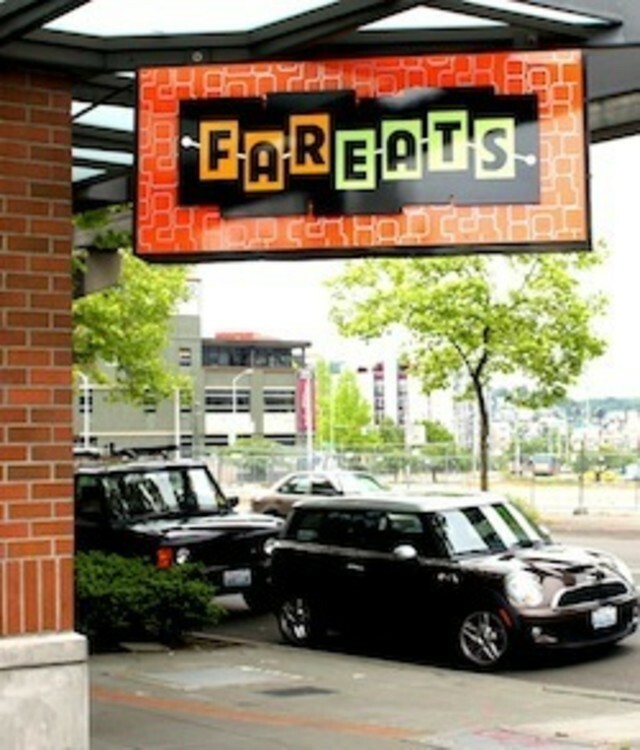 Get far east eats at the new Far Eats (and then say that 10 times fast). Photo by Ronald Holden via Eater. Eater Seattle says Belltown is now home to a new Indian restaurant, complete with a tandoor oven in which chef-owner Geogy Chacko is baking reportedly excellent naan. That’s the name of Ethan Stowell’s newest project, which will hit Capitol Hill in late summer and share a space with Heather Earnhardt’s Wandering Goose. Stowell’s Roman-informed spot will serve street-style pizza, tableside pasta, and plenty of antipasti. Tom Douglas employs a handful of "rovers" who bounce between establishments to make sure things are running smoothly. The newest is Matt Fortner, formerly of How to Cook a Wolf and Blind Pig Bistro. According to CHS, the Indian eatery on East Pine will be closing, and a new gaming cafe will take its place. However, Travelers owner Allen Kornmesser tells CHS he hasn’t heard the official word from the landlord, and says, "For the moment, at least, we are still up and running. Keep coming in!" Better get that chai while it’s hot. The gallery/cafe has been on the scene for six years, but owner Elisheba Johnson tells CHS that the Capitol Hill spot is done. Her parting words? "Don’t be sad that it is over, be glad we did something amazing for six years." We’ll drink to that.